We believe the cornerstones of any business endeavour is to recognise opportunities, connect people and to close deals! As such we aim to be your link and navigator when searching for new ventures. Currently based in Berlin, Cordinata is a Swedish consultancy firm originated in 2017 and despite our recent establishment, our experience in our field vastly transcends our time in business. Founded with a vision to recognise opportunities in the intersection between cleantech and social innovation, our aim is to connect engaged actors in order to facilitate new partnerships and business opportunities, effectively assisting in “closing the deal”. Contact us to find your new business connections today! Our professional path within the cleantech sector have allowed us to establish a vast network of innovative start-ups as well as major international organisations and companies such as Dow Chemicals, IKEA, BASF, SABIC Ventures, E.ON, Evonik Industries, GE, Bosch Ventures, Generation, Capricorn Venture Partners, Cleantech Invest and WWF. Consequently, we have experience in working worldwide in countries including Canada, USA, Germany, UK, Holland, parts of the Middle East, China and the Nordics. A such we are able to offer a range of services including but not limited to business development, project management, fund raising, sourcing of technologies and event management. Optimise your possibilities today and contact us here! 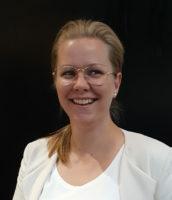 Nathalie Nebelius’s, CEO and Co-Founder, previous employment as Growth Manager enabled her to work closely with a large group of international investors, industries and corporate VC’s. Her assignments included everything from marketing, fund raising, business development, event coordinating to networking. 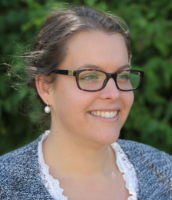 She also previously worked at Lund University in the International Institute for Industrial Environmental Economics and holds a BA within the Environmental Field as an Environmental Assessor from Linnaeus University in Sweden, therefore she has a green fundamental base to complement her business experience. Madeleine Persson, CFO and Co-Founder, brings a different perspective as she comes from a background within Political Science and holds two BA’s in Peace- and Conflict Studies and Human Rights. Her previous employment as a B.A. entails various tasks such as quantitative and qualitative research, sourcing technologies and start-up companies, project management including running a start-up competition, marketing, coordinating and web editor. Having spent a semester abroad during her Master Studies, specifically with Save the Children International in Vietnam, Madeleine has a profound interest in social innovation and promoting green growth. ♦What We’ve Been Up To!